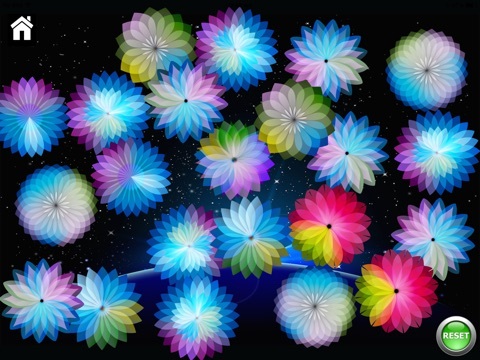 Touch Activated Sensory Light Show is a unique app that uses bright colored shapes, lights and sounds for children to enjoy. 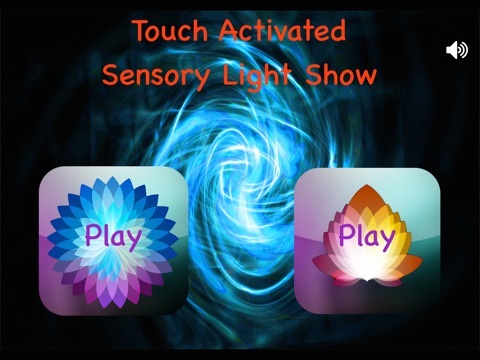 Touch Activated Sensory Light Show is an interesting app that uses various shapes, lights, and sounds to inspire cause and effect play. 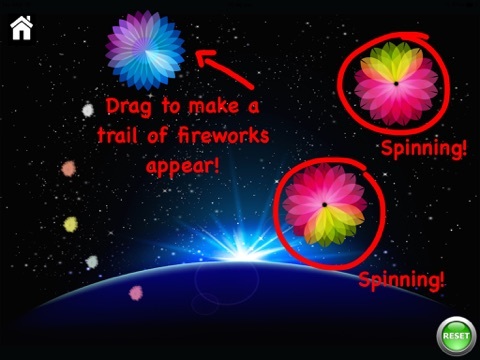 With each tap on the screen, players see a unique shape appear and a fun sound play creating a fun light show to enjoy. There is no doubt the graphics and images that are used in this app are of high quality and quite unique. There are lots of geometric shapes, flowers, and star-like images varying in size and color that are enough to keep little ones engaged for a bit. The sound effects and music that is used throughout the app are also good and add a bit of depth to this simple app. This app is meant to help children learn and understand cause and effect play, however I’m not sure how educational it really is. 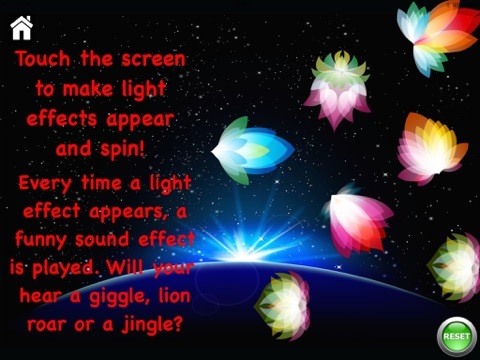 As children tap the screen, new images appear and begin to spin while a fun sound (giggle, animal sound etc.) plays aloud. While the developers state that this app is designed to teach children that their actions have effects, it could use a bit of work to effectively get the message across. Touch Activated Sensory Light Show is likely to be somewhat entertaining for young children as they watch the various shapes spin round and round, however I’m not sure this is an app that children are going to love playing multiple times over. 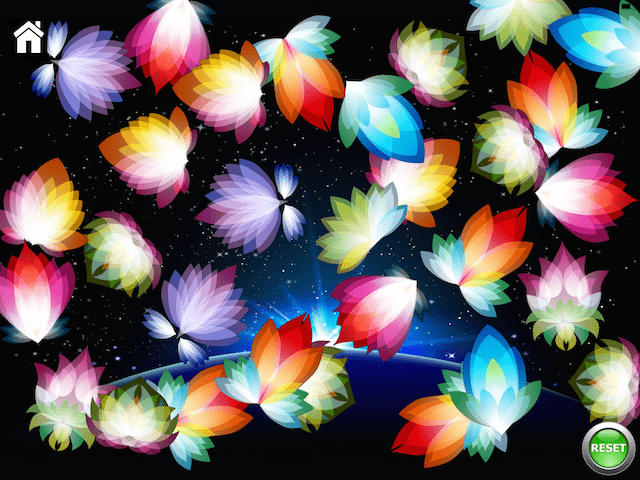 One way to add a bit more entertainment value to this app is to add additional activities that incorporate the light show and shapes in a puzzle or memory game. As it is, this app leaves much to be desired. Priced at just under two dollars this app needs a bit of work to justify the price. Adding a few extra games or activities will certainly help to add a bit more value to the app and justify the price. The developers have done a nice job of keeping this app easy to use and safe for children too. With simple tap and touch functioning, players will have no issue playing the app on their own.